Can You Talk When You Have Strep Throat? Strep throat is caused by an infection of streptococcus bacteria which affects the pharynx of the throat. Losing your voice, or laryngitis is an inflammation of the larynx (voicebox) and is usually caused by a virus like the common cold. Though both affect the throat, they have different symptoms and treatments. Can you talk when you have strep throat? Yes, but depending on the severity of your symptoms, your voice maybe hoarse and talking may hurt your throat. There’s a difference between a sore throat and strep throat. Because it’s a bacterial infection, strep throat requires a doctor’s prescription for antibiotics. (Remember, when you are given antibiotics from a FastMed medical professional, don’t stop when you start to feel better – take the entire dosage as prescribed.) 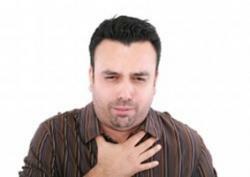 When strep throat is left untreated, serious complications can develop. including rheumatic fever which can damage the valves of your heart. It is particularly important to monitor symptoms of young children. If your infant is less than 3 months old, any sign of fever merits a visit to your medical provider. If you have a sore throat for longer than two days, medical professionals recommend that you get tested for strep. FastMed Urgent Care performs rapid strep testing. 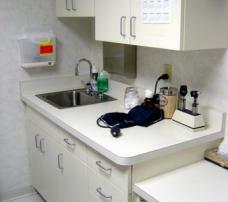 Our walk-in clinics have on-site laboratories, which means you know the results of your strep test within ten minutes. Not only will FastMed determine the right course of treatment as quickly as possible, we realize that you have other things to do run back and forth to the doctor’s office. One of the benefits of using FastMed as your family doctor is how easy it is to see a medical professional. We operate under extended hours to accommodate your work and family responsibilities and are open 365 days a year. FastMed Urgent Care accepts most major insurance plans and offers family membership plans to help manage the cost of unexpected illness or injury.